DCS Typometer & Lithometer – When measurement accuracy is essential, the DCS Typometer and Lithometer are precise, reliable and easy to use. 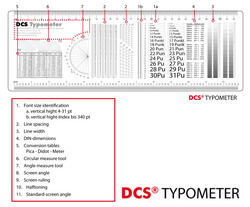 The DCS Typometer is a truly indispensible, high precision tool for the accurate measurement of type and font sizes up to 340 points, DIN format sizes, line spacing in pica-points and line thicknesses. 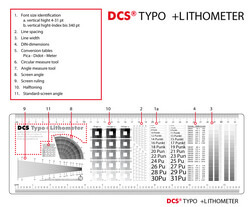 The DCS Lithometer also allows you to measure screen angles and widths and offers a screen tester that accurately measures and tests both films and layout proofs. 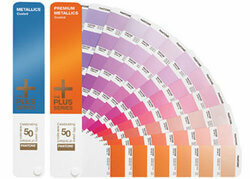 Designed specifically for the graphic design, pre-press and print industries, the DCS Typometer and Lithometer are supplied within a white, scratch resistant PVC slip case, making the DCS Typometer and Lithometer a great addition to any studio.